A great literary figure, Khurshidbanu Natavan, the daughter of Mehdi Gulu-khan, the last ruler of the Karabakh khanate is considered one of the best lyrical poetess of Azerbaijan. The legendary poetess was a great example of intelligence, aristocracy, philanthropy, and classic poetry. Known as a prominent educator of her time, public figure, philanthropist, she won nationwide love. The legendary poetess left a deep trace in country's cultural and public life. Natavan was born on August 6, 1832, in the town of Shusha. Being the only child in the family and descending from Panah Ali Khan, she was the only heir of the Karabakh khan, known to general public as the "daughter of the khan". The poetess completed her education in Shusha and became well-versed in various European and Oriental languages as well as in music. Natavan was raised by her own aunt Govhar-khanum, who aroused her interest in music, poetry and drawing. She grew popular through her relationship-themed ghazals and rubayat. Kindness, friendship, humanism and love were the main themes of Natavan's ghazals. Her romantic poems express the feelings and sufferings of a woman who was not happy in her family life and who lost her son. She adopted the pen name ‘Natavan’, a Persian term meaning ‘powerless’, after her son’s tragic death in 1885. Some of her known poems are ‘To My Son, Abbas’, ‘Lilac’, ‘Beloved, how could you break the oath to me you swore?’, and ‘Time has plunged me into an ocean of pain and woe…Some of her poems are still used in folk songs. In addition to poetry, Natavan was also engaged in painting. She was exceptionally good at pencil sketching and attractive embroidery as well. Her landscape sketches were the first-of-a-kind in European style in Azerbaijani art, which perfectly combined the concepts of the Western and Oriental art forms. Her embroidery works were regarded as masterpieces. After her father's death, she was closely engaged in philanthropy, promoting the social and cultural development of Karabakh. Even though she took over the Karabakh Empire at a young age of 13, Natavan successfully established her literary career and managed responsibilities of developing her city, Shusha. She did a lot for the welfare of people, including building water works, opening schools and building hospitals. Prominent for her charity and social activity, Natavan was first to provide her home city Shusha with drinking water. Among her famous deeds was a water main that was first laid down in Shusha in 1883, thus solving the water problem of the townsfolk. 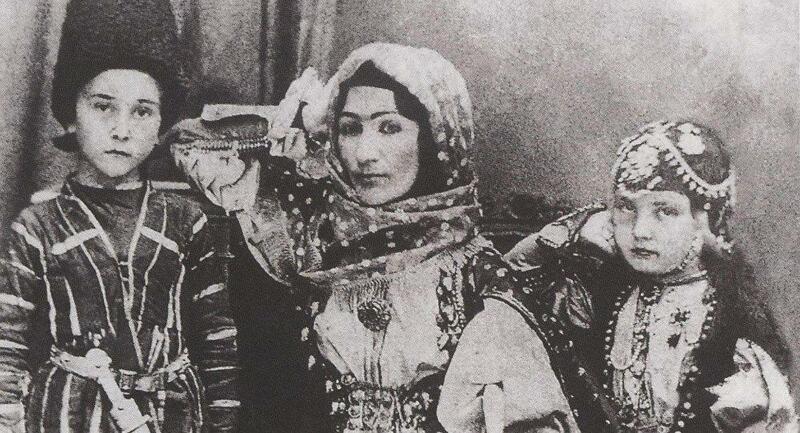 The local Russian "Kavkaz" newspaper wrote at the time: "Khurshud Banu-Begum left an eternal mark in the memories of the Shushavians and her glory will pass on from generation to generation". The springs built by Natavan from famous Shusha white stones were called by the townsfolks "Natavan springs" and were also considered historical monuments under protection. Moreover, she also did a lot for the development and popularization of the famous breed of Karabakh horses. Karabakh horses from Natavan's stud were known as the best in Azerbaijan. In an international show in Paris in 1867 a Karabakh horse named Khan from Natavan's stud received a silver medal. The daughter of the khan was also active in sponsoring one of the first literary societies. She established the first literary society in Shusha and went on to sponsor several more across the country. Majlis-I Uns (Society of Friends) became a renowned poetic group in Karabakh. In 1858 the poetess met in Baku with the French writer Alexander Dumas, and presented her manual works. The French novelist said to have been charmed by her oriental beauty, literary and artistic talent. As an honored guest at Natavan’s family home, he was given a chess set after playing chess with his host. The Alexandre Dumas Museum in Paris houses a hand-crafted pouch given by Natavan to French writer, when she defeated him in a chess game upon his halt in Shusha during his trip through Caucasus. Natavan died in 1897 in Shusha. As a sign of respect, people carried her coffin on their shoulders all the way from Shusha to Agdam, some 30 km north-east, where she was buried in a family vault.